Apartments in Berlin. High quality and central. Ferienwohnungen in Berlin. Hochwertig und zentral. Sören and Johannes are the founders of Rockchair. When selecting the locations, they always asked themselves whether they would like to spend time in a foreign city in this place and in this apartment. Only after answering both questions with Yes they converted the properties into holiday apartments. Sören and Johannes placed great value on preserving all the original elements of the apartments, such as windows and stucco elements. Rockchair GmbH is a family business. Family values such as trust, commitment and loyalty are the yardstick of our business decisions. We strive to create something lasting. Our goal is to offer our guests the most beautiful apartment in town. Tenants of our apartments live next to Berliners in attractive, central areas away from the tourist miles. Your living environment is quiet, but we have always chosen the locations so that you can walk to where Berlin life pulsates. Our furniture ranges from rustic to romantic to elegant. 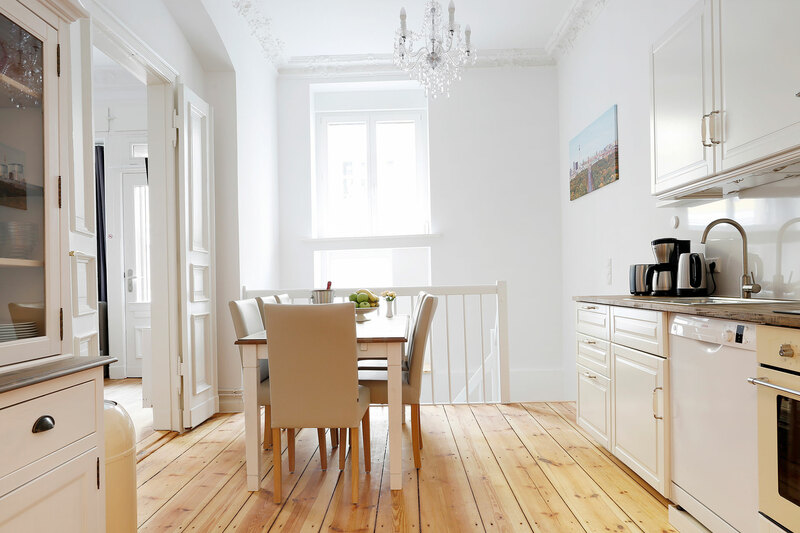 You will enjoy your stay in Berlin in modern, bright and attractive living facilities. They testify to a timeless ambience. All our apartments are not affected by the Berlin “Zweckentfremdungsgesetz”, which is intended to restrict short-term stays in holiday apartments. This apartment is a legal commercial property with the official use as an equivalent to a hotel/ hostel/ guesthouse. Your booking is 100% legal and secure.